Home / FEATURES / I Theatre / stories / theatre / Wolf! A Review of I Theatre's "The Boy Who Cried Wolf"
Wolf! A Review of I Theatre's "The Boy Who Cried Wolf"
There was once a Boy. And he had one job - to tend to the sheep owned by a cluster of five villages. There was, however, one problem. The Boy was prone to falling asleep - especially when counting the sheep. So, it was time to make things more exciting. And what could be more exciting than pretending that there was a Wolf around! That very idea would send all the villagers into a frenzy and bring life to the entire place. And it would be terribly fun for a bored little Boy. But what if the Boy chose to cry "Wolf!" on more than one occasion? Would the villagers still believe him? What if there really was a wolf? he was getting from the Sheep. Baa! 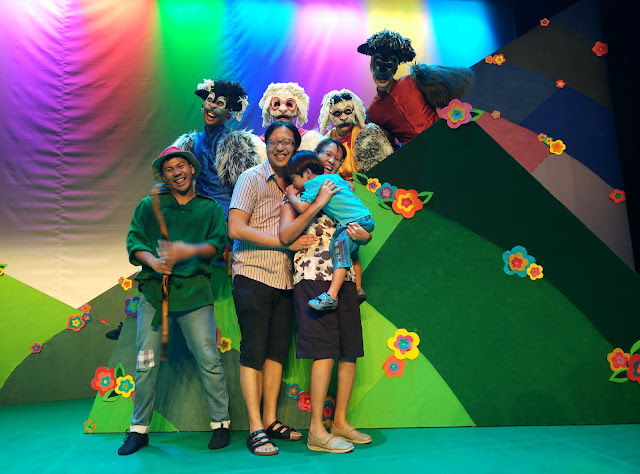 I Theatre's interpretation of the popular Aesop Fable "The Boy Who Cried Wolf" brings to life a world where life is simple; where the grass is green, the skies blue, and the mountains a sight to behold. 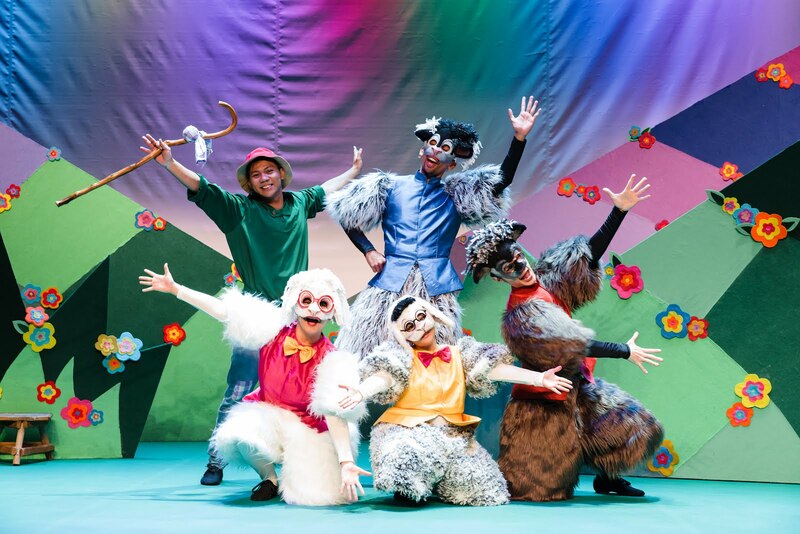 The musical builds on the original tale, with clever characterisation and a moral in the story - just like any other good I Theatre production. Bright colourful sets depict a beautiful mountain range. Boy just about to cry "Wolf!" Set Designer Wai Yin Kwok created a simple yet functional scenescape, which conjured up the uncomplicated nature of life in the mountains. 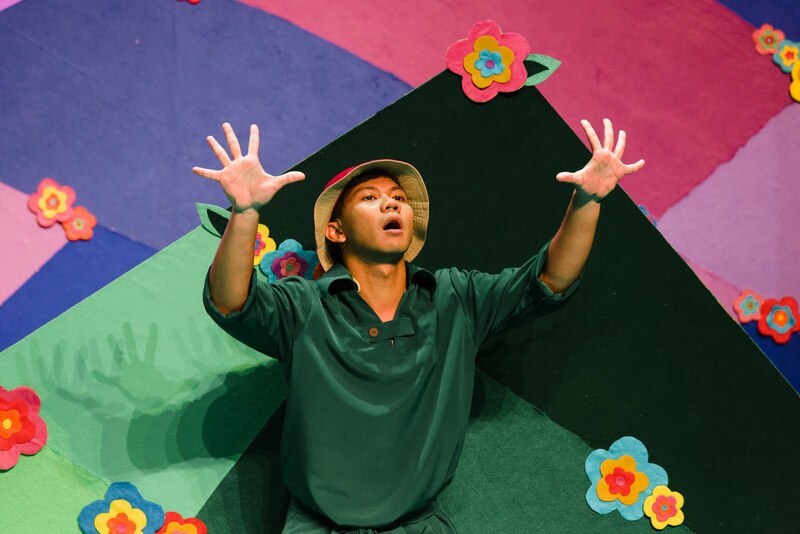 And Music Composer Julian Wong was again in his element, producing lovely tunes from different music genres. 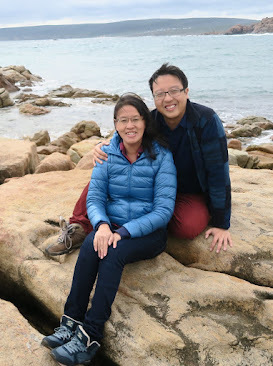 We have always enjoyed Wong's music, and it was no different this time round. When the songs are paired with Cathy Kee's dance choreography, the audience is treated to lovely numbers such as the Umbrella Song, one of our favourites in terms of its energy and catchiness. 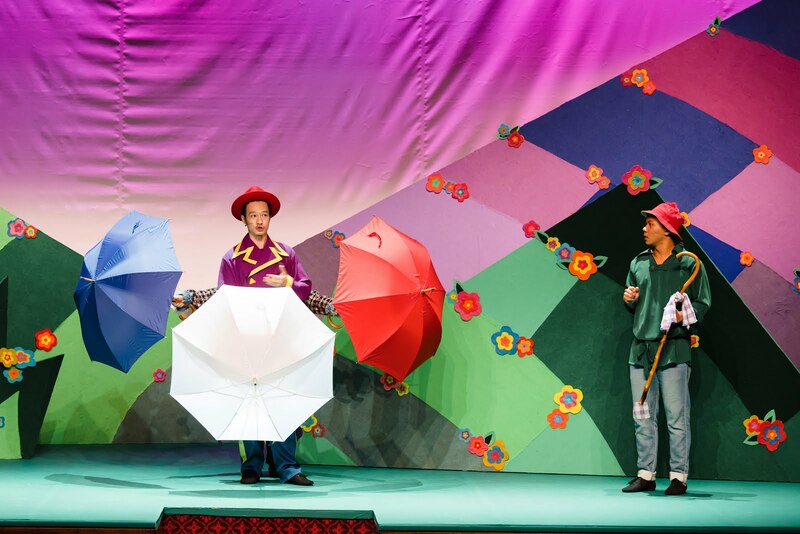 The delightful Umbrella Song in all its pageantry. What dazzled were the costumes. 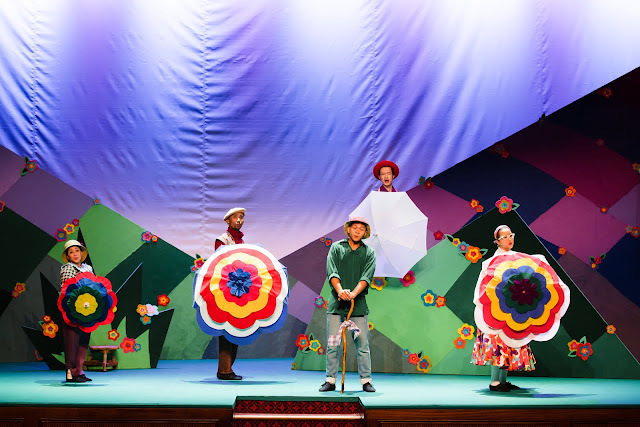 Designed by I Theatre's icon and Creative Director Brian Seward, the villagers' outlandish costumes brought to life their larger-than-life personas. With names such as Vincent Arabella, Amelia Squint, Claude Florrible and Rosie Molecule, it was difficult not to fall in love with these strong and uninhibited personalities. 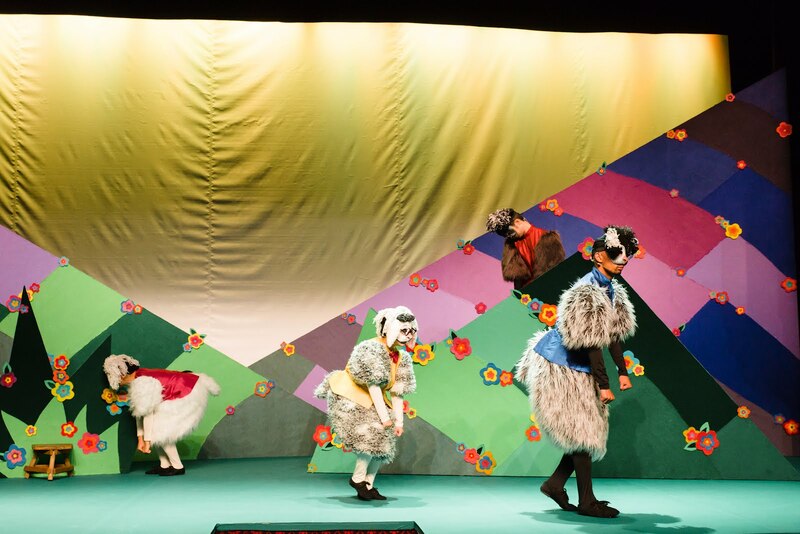 Even the sheep looked sheepish - no thanks to Seward's wooly costumes, which brought to life the sweet and adorable Charrolais, Drysdale, Herdwick and Galway. Who actually names their sheep? I Theatre does, apparently, and Seward's attention to details in the characterisation is what makes every production so unique. Vincent Arabella, the Umbrella Man. All's Well That End's Well? Both our sons loved the show, with almost-4-year-old E insisting to hunt down the Wolf after the show. 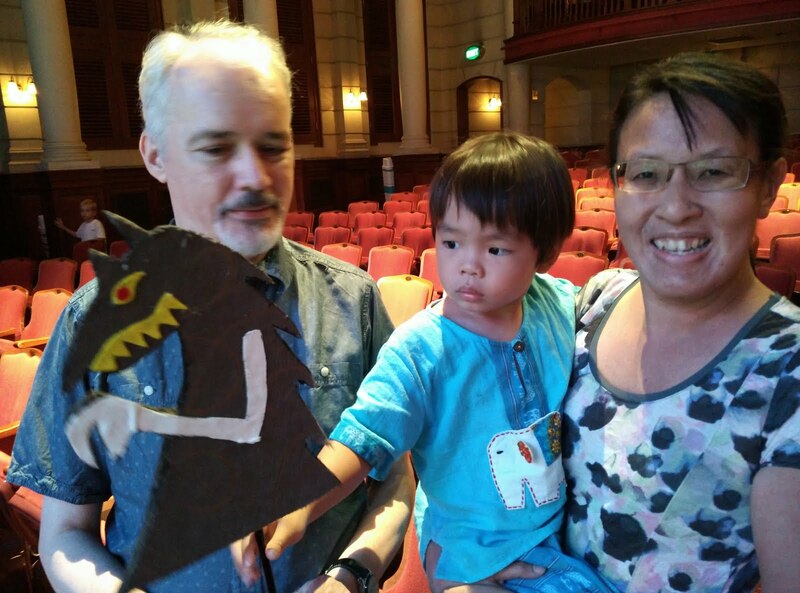 We were thankful to "Uncle Brian" for humouring him, and he was absolutely thrilled to get a first-hand feel of I Theatre's lovely puppetry. Brian Seward, who conceptualises each production from start to finish. 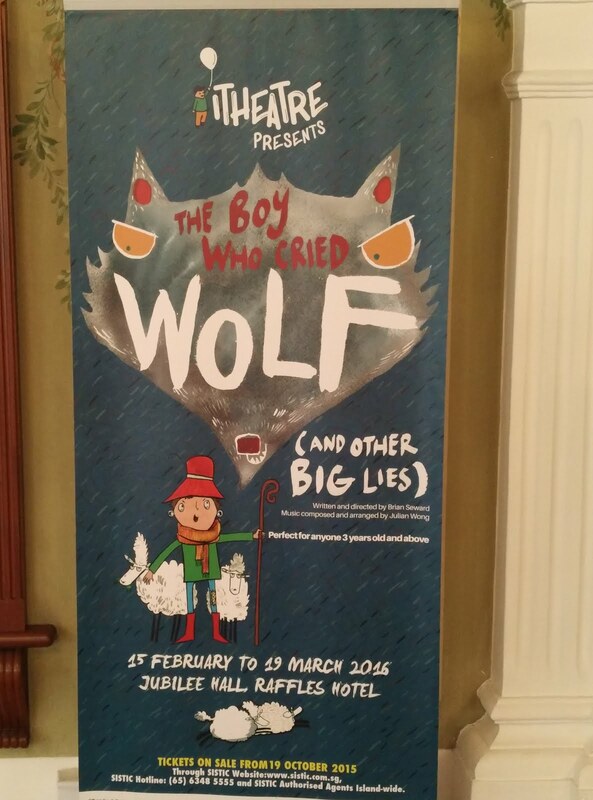 The Boy Who Cried Wolf (And Other Big Lies) is running at the Jubilee Theatre from now to 19 March 2016.